A few weeks after the celebration, we take a look back at these two days where everyone had a chance to celebrate a lively and eventful past and rejoice in the happiness of reunion with former collegues & friends. 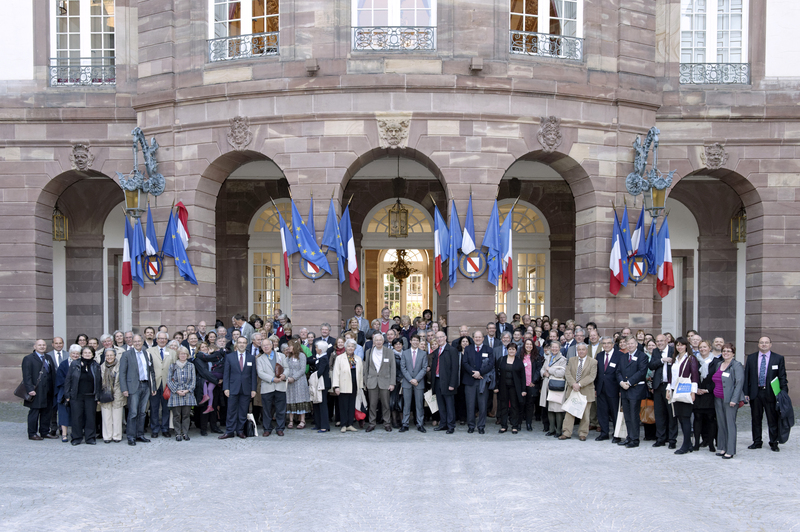 Tim Radford, science writer & moderator of our first round table on ESF's Added-value, shares below his account of ESF's 40th anniversary event in Strasbourg. It was a 40th birthday party with a difference: to celebrate a lively and eventful past, but with no easily visible future. But what might have been a wistful event turned into a surprisingly lively one, partly because so many people on the formal panels, and so many people in the audience, seemed to think that more was needed to secure the future of European science, a future made possible at least in part by ESF itself. Click on any of the photos to go to the Anniversay Photo Gallery.